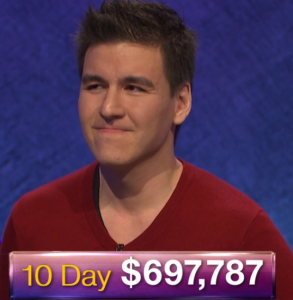 Today’s Final Jeopardy answer (in the category International Airports) and statistics for the Wednesday, April 3, 2019 game between Alex Koral, Rose Curtin, and 5-day champion Steven Grade. It’s Week 30 of Season 35 of Jeopardy! Steven Grade of Atlanta starts the week as champion. See what challengers join him on the show here!